Soirée Society is Northern Ireland's only approved and award-winning professional Matchmaking and Introduction Dating Agency. We facilitate introductions for like-minded people, aged 25 plus, who are looking for a genuine long-term relationship, be that for companionship, romance or marriage. "...we are now a couple, have met each others family and heading away for a weekend at the end of the month.....it’s fair to say things are going very well between us, so much in common, similar values, and above all she’s kind, beautiful and smart. Thanks for your help with setting us up and I’ll keep you posted. Ps. I’ve endorsed Soirée to a few of my single male friends, not sure if they’ll follow through and join but they should given my experience with it." TEXT YOUR NAME to Rhoda at 07814 079514 to book your FREE CONSULTATION and get started with Northern Ireland's Award-Winning Matchmakers from only £100! Research with single, separated, divorced and widowed people confirmed that many had a problem meeting other unattached like-minded people. As a result, the refreshingly different Soirée Society was born. PRIVATE & CONFIDENTIAL: Unlike online dating sites which are very public and where people's identities have not been authenticated, Soirée Society's service is off-line and very personal, private and confidential.
" It was lovely to see you on our big day and thank you for the wedding present. "I first spoke to you 2 years ago and didn’t join as I thought 'I am a man and I can find a partner on my own’. Well it didn’t happen and here I am within a month of joining and going on my second date with the lovely lady you matched me with. I regret not doing this sooner." "Just to say thank you. From not having dated in over a year, I have met four lovely genuine guys since I joined Soirée Society. I reckon the fourth is 'a keeper'. We head on a city break to Barcelona for my birthday. I have no hesitation in recommending your service." "Where did you find her? She is a gem and I am so grateful to you." "Everyone single should experience a matchmade date once in their life!" THE REASON WHY: The idea for Soirée Society was sparked by a conversation in 2014 with a 35 year old professional lady who explained how difficult it was in N. Ireland to meet a guy who was interested in more than a one night stand and who would share her longer-term objective of a genuine, loving relationship that could lead to marriage and a family. We initially held singles events which allowed people to meet, mix and mingle. This helped us build a large database of singles in N.Ireland. DATING FOR MEN: Our Matchmaking service was then launched in April 2015 following feedback from a number of gentlemen. They explained they felt uncomfortable attending singles events and were disillusioned with online dating results and they sought a more discreet professional alternative. "I have really enjoyed meeting the two ladies you introduced me to..the first one went to three dates and we have remained friends. The second one I am still with, and we are getting on like a house on fire! Best money I have ever spent! Thanks so much. (Meanwhile, my mates are pretending they are still happy being lonely!)" "Soirée has made me feel like a recycled teenager again heading out on their first date!" "I've loved this experience and I keep open to the possibiity that a lovely match is just one date away!" "..one of my best decisions and investments ever! To all those other men out there that would love to love and be loved, I am telling them not to hesitate to contact Claire & Rhoda in Soirée Society." "Believe it or not, it was my wife who was terminally ill and she read your article in the Newspaper and she said when I am gone, you get in touch with those ladies as I know you will be so lonely and they will look after you. So here I am, missing the companionship and love of a good woman and placing my trust in you to find me an equally lovely lady who cares about me. I enjoyed meeting you both and cannot believe you have got me a match within weeks of joining." "With my job I would not do online dating as it is so public. I never knew about matchmaking but this is such a good way to meet my potential husband!" The rest is history as since then we have facilitated hundreds of matches, and now have many couples in long-term relationships. We are delighted that in 2018 we have had two weddings, and two engagements including the latest one at Christmas. An extra little bit of sparkle! 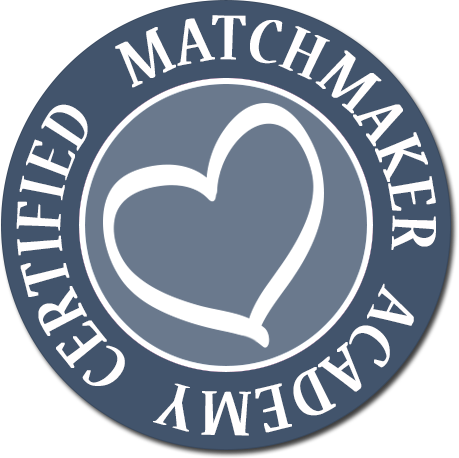 => Winners of the Best Upcoming Matchmaking Agency at the 2016 UK Dating Awards In London. => Finalists in the NI Rising Stars Awards 2017 In Belfast. 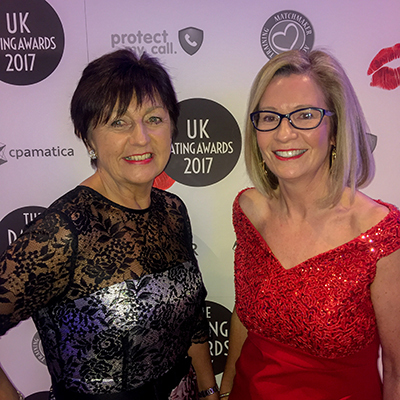 => Finalists in the Best Matchmaking Agency of the Year Award at the 2017 UK Dating Awards In London. We have been interviewed on UTV Life, NvTV, BBC Radio NI, Belfast 89FM, Downtown and Q Radio. Newspaper, Digital & Magazine articles include Belfast Telegraph, Sunday Life, Irish News, News Letter, Dungannon, Tyrone & Fermanagh Herald, Mid-Ulster Mail and Tyrone Times, Tyrone Courier, Women in Business, N.I. Chamber news, Institute of Directors magazine, NI Chamber of Commerce Ambition magazine, BAM news, Belfast Live. 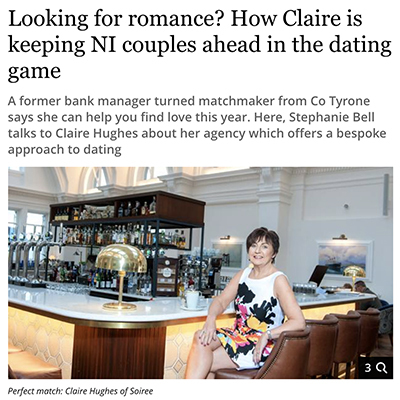 Have you seen our latest interview in the Belfast Telegraph? Click the article below for the full feature! "Having been recently widowed, rentering the dating scene was very difficult for me. I found the written guidelines you sent out with the contact details were excellent and the first date went really well and we are meeting up again next weekend!" "..divorced and lonely and sitting in every weekend paying a fortune for sky tv and complaining there is nothing on the telly. To cut a long story short, I have been out on three dates, and whilst I haven't found love and romance yet, it sure has put a spring in my step and I bought aftershave for the first time in years!" "Just to update you. Had one of the best first dates ever!! She is a great person, very chatty and bubbly and just my type. Meeting up again for the third time this weekend"
"I am really happy with the matches and the quality of the girls I have met." Most recently Northern Woman magazine carried out an independent review in their February 2018 Valentine's issue where Soirée Society Matchmaking service compared very favourably versus an online dating agency. Are You A Good Fit for Our Service? 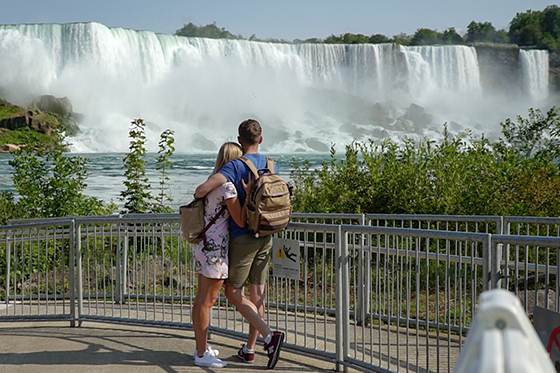 "I cannot tell you how good it was to be going on a date with a guy who like me was interested in a genuine relationship"
"Just to let you know we got engaged last week at the Shard in London. I remember when you interviewed me I asked you why would I pay for your service when I could get dates for free on Tinder and Plenty of Fish. You told me I was on Quantity Street and welcome to Quality Street! How right you were. Thank you for refining my dating skills and we will be in touch with the wedding invitation soon.."
From our experience in dealing with a diverse range of people from varying backgrounds, we understand the difficulties and challenges that many unattached people face. People can find themselves, sometimes very reluctantly, in a new situation following relationship break-ups or bereavement and are often daunted and way outside their comfort zone with modern dating. Others are time-poor, juggling demanding careers and/or family commitments with the search for companionship. "This lady is even nicer than I expected. You definitely get what you pay for!" "The confidentiality and professionalism of Soirée Society has persuaded me to join." "..seriously impressed with the dates I've had so far." Others find themselves the remaining single in a group of friends or the favourite single aunt or uncle who are rarely alone but often lonely. This in itself can sometimes prove difficult and actually curtail opportunities, e.g. having no plus- one at a wedding or having no one to go to the cinema, concerts, events etc. If You Know All the Things That Don't Work & You're Ready for Something That Does - Get in Touch Today! Our discreet and professional matchmaking service takes the stress out of moving ahead with your life. We work with you and for you and help find you that special person who will bring an added positive dimension to your life. Do you believe that the best experiences in life are those that are shared with someone special? If you agree, are aged 25 yrs plus, and are looking for a genuine, long-term relationship, Soirée Society offers the solution. "congratulations for running such a discreet and private business that makes customers feel comfortable and safe"
"You are very good at your job! I will keep you posted and I have a few potential clients I will send on to you." "In honesty I didn't think I would ever meet someone again or be this happy but thanks to you life is great again." *the names in the customer testimonials above have been altered for customer privacy.